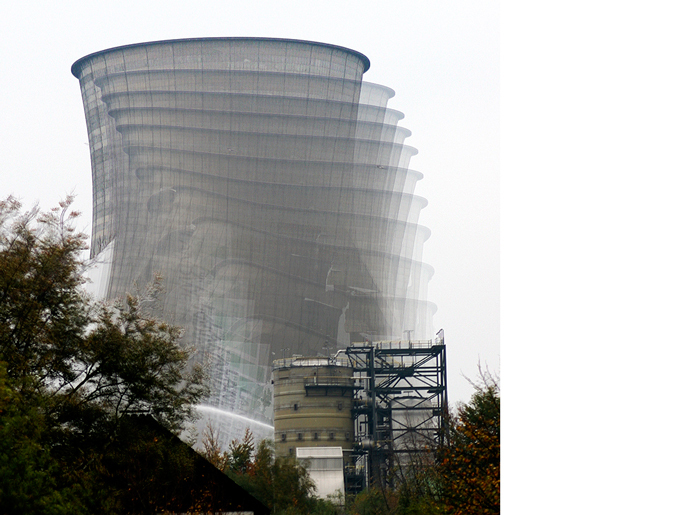 Demolition by controlled detonation of a cooling tower of a former coal-fired power plant in Castrop. Guest post by Minou Nowrousian. GSA-Art features the creative works of scientists, particularly geneticists. Read more about the series from GSA President Stan Fields. If you would like to submit your own work or nominate someone else’s, please send an email GenesToGenomes@genetics-gsa.org with “GSA-Art” in the subject line. I work at the Ruhr-University Bochum, Germany, and the main topics of my work are genetics and genomics of fungal development. 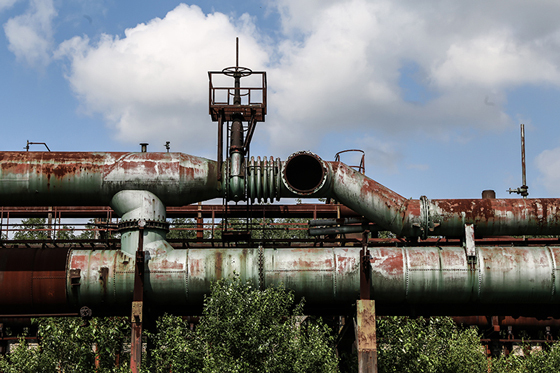 Apart from being a biologist, I’m a photographer, and among my favorite subjects are (former) industrial sites and the changes brought about by the rise and fall of different types of industry in the Ruhr area in Germany. The area of former steel factory “Phoenix Ost” was turned into an artificial lake surrounded by office and apartment buildings. A former converter (a device to make steel from iron), shown in front of the new buildings, was placed on the lake shore as a monument. This is still one of the most heavily industrialized and populated areas in Europe, but the two main types of industry that dominated the area until the 1960s, coal and steel, have been on a downward slide for decades. In the wake of this, the region has undergone major structural changes, leading to high unemployment rates and social problems, but also to the re-use of former industrial sites that changed most city landscapes beyond recognition. Today, the area is on course to being a knowledge- and high tech-based economy. Even though we are not quite there yet in some respects, one successful example is the Ruhr-University Bochum, which was the first university to be founded in this area about 50 years ago. Together with several friends, I’ve been taking pictures of industrial sites for many years, trying to document the changes that this area is constantly undergoing. The former coal mine “Ost” in Hamm was closed in 2010. This year, the area was opened for visitors for a day, with guided tours by former miners. 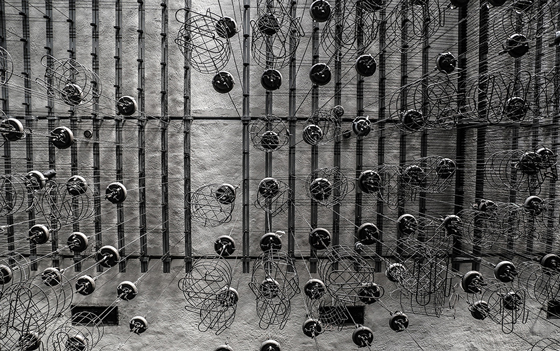 Shown is the changing room with wire baskets instead of lockers that were hoisted to the ceiling to save space. The former coal mine and coking plant “Zollverein” in Essen is now a museum and was named a UNESCO world heritage site in 2001. 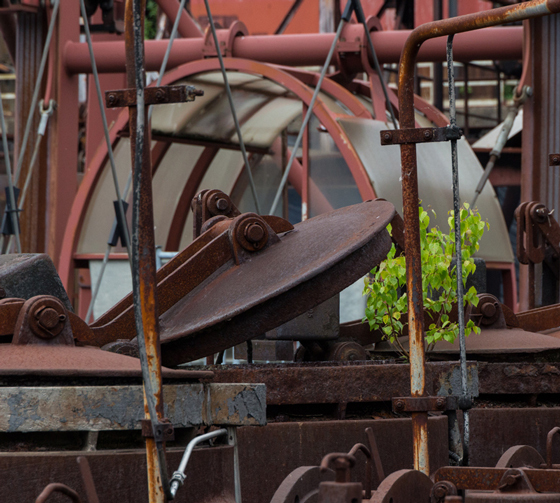 The picture shows a detail of the coking plant. 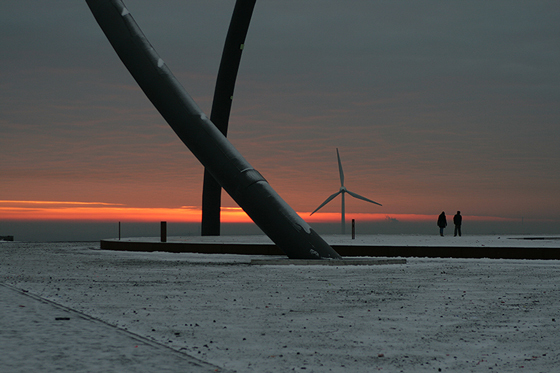 On top of a former mining waste dump, a sculpture called “horizon observatory” was erected in 2008. 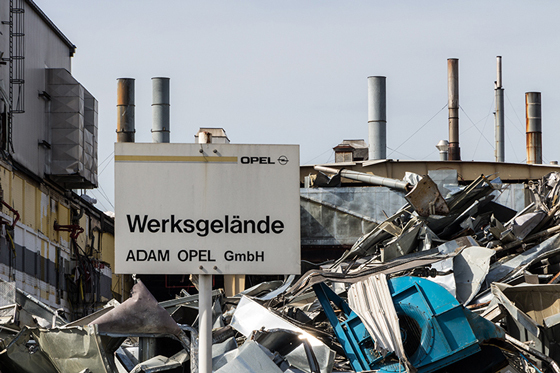 The car manufacturer Opel (subsidiary of General Motors) had a factory in Bochum from 1962 to 2015. The factory buildings are currently demolished to use the space for new developments that are expected to bring employment opportunities to the region. 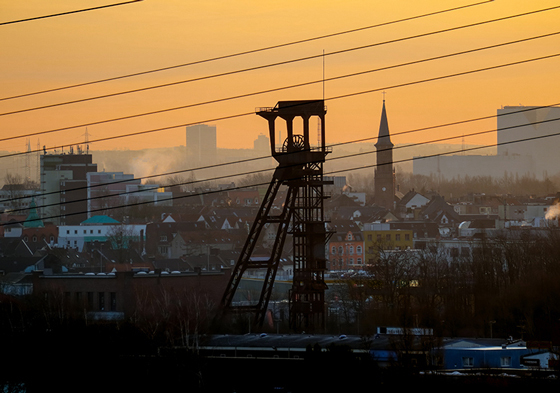 Sunrise over the city of Bochum, in the foreground the winding tower of the former mine “Holland” (all mines were named, e.g. after people, places, organizations). 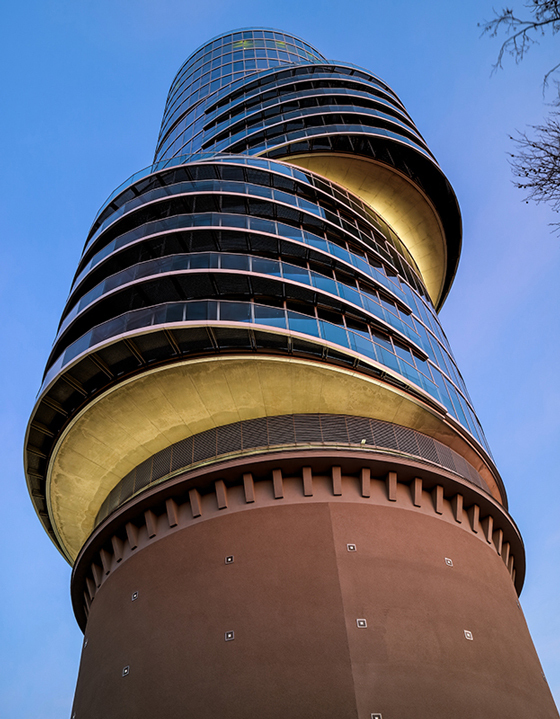 New office tower that was built in 2013 on a former World War II bunker. 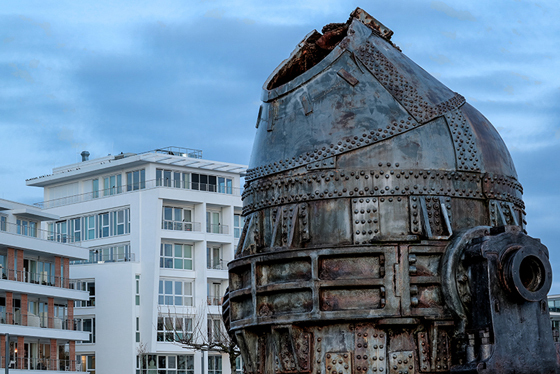 The former coking plant “Hansa” in Dortmund is now a museum. Parts of the large area are reclaimed by nature. 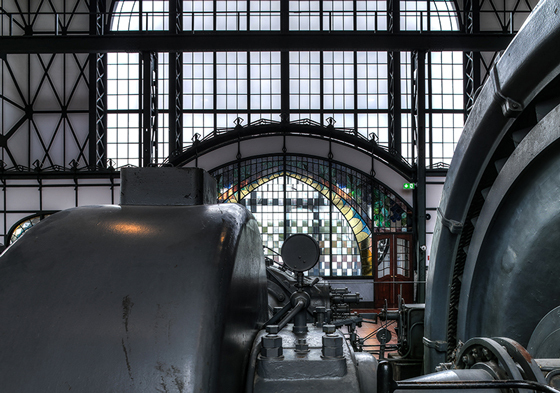 The machine hall of the former coal mine “Zollern” in Dortmund is an example of the beginning of modern industrial architecture, combining historism, art nouveau, and modern elements.